Abraham Lincoln said, “Law is nothing else but the best reason of wise men applied for ages to the transactions and business of mankind.” Reasoning is to law as treatment is to medicine. A central attribute of the practice of law is prudence. The Merriam-Webster online definition of prudence is careful good judgment that allows someone to avoid danger or risks. Here are some reasons why hiring an aggressive lawyer is not always the prudent choice. Wait! You say to yourself as you are reading this, I thought attorneys were hired for their aggression? Maybe this has been your previous experience with an attorney. A good attorney does not need to be aggressive. A good attorney is an articulate communicator. A good attorney exercises careful good judgment. Good judgment beats aggression any day. Aggression is the beginning of violence. Aggression is the losing control of one’s emotions. Any attorney who decides to advertise above all their ability to fight, demonstrates a low regard for trying to negotiate intelligently. Unfortunately, the advertising of aggression takes advantage of people who are justifiably hurt and emotionally injured and seek professional legal advice. The law exists to set consequences for behavior. The reason that aggressive lawyering does not lead to good outcomes is because prudence is missing. Aggression impairs rational judgment. Attorneys can spot other attorneys who are overreaching and peacocking for their clients. Quickly the showy attorney loses credibility and so this attorney’s ability to advocate for the client diminishes. Value that could have existed within the legal negotiations is squandered. The aggressive attorney may pull things together for trial, but because the other side has been acting with prudence the whole time it is unlikely that the aggressive attorney will prevail. Guess who gains the better reputation among attorneys, is it the aggressive ones or the ones who are levelheaded in the midst of emotional intensity? Levelheaded lawyers are the ones who succeed in the practice of law. Another handicap of aggressive lawyering is the psychologically draining nature of always manipulating emotions. Power is what you do to accomplish what you want. The law is a tool to help you understand how you can accomplish what you want. Say you want to form a business. What steps are you taking to make your vision a reality? When you are forming a business, do you meet with an attorney who will advise you about the requirements and regulations to form a business? Do you know the strengths and weaknesses of the different business entities? If you face decisional paralysis with these questions, then you should seek out professional legal advice for your business. Control is using some other means or person to accomplish what you want. For example, in business law there is the control test used by courts to determine whether a business is on the hook for obligations of its employee or not. There are many factors to this test. This is a factually heavy test and if the business is not controlling the manner and means of the duty of the person a court may find the individual to be an independent contractor. If the court finds that the person is an independent contractor, the business is not responsible for the obligations. The gist of this is how you direct people in your business may open your company to liability. The use of power and control can be evaluated. The law are rules and consequences for the use of power and control. If you use an improper way of accomplishing what you want, then the law sets a consequence for bad behavior. Power and control are factual determinations. That is why when you seek out an attorney there will be many questions about what happened, or what the goals are. The attorney is using his or her experience with the themes of power, control, and evaluation in order to give you legal advice. The attorney is trying to get the client to understand the law the way the attorney understands it, so that the client can make informed decisions. 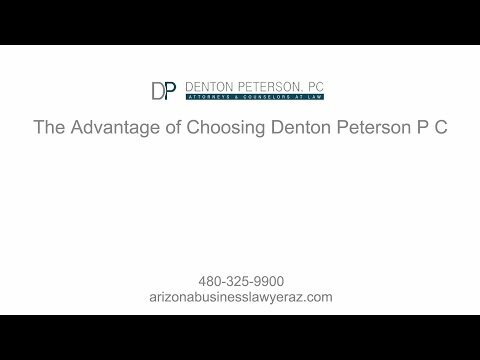 At Denton Peterson, PC we have many years of experience in the practice of business law. We will advise you on how power, control, and evaluation interact with the situation that brings you to our office. 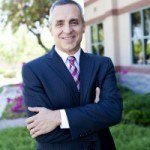 Our Mesa business attorneys know how to advise our business clients in making important decisions. A prudent attorney can spot issues that an aggressive attorney would not have considered. We consider all the factors in your situation to offer the solutions that are best for you. Our attorneys have prudence you can trust. Contact us today to learn more about our services. What are the Duties of Corporate Directors?